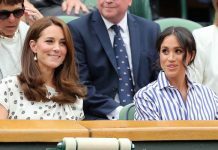 Has Camilla given Meghan Markle the same gift as Kate Middleton when she joined the royal family? When the Duchess of Cambridge joined the royal family in April 2011, she was given a very thoughtful wedding gift from her stepmother-in-law, the Duchess of Cornwall. 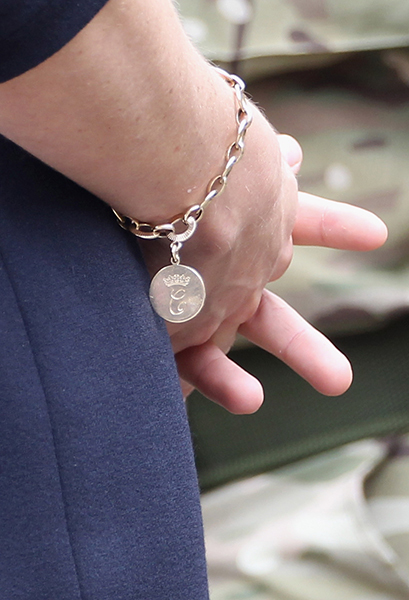 Camilla presented Kate with a gold link charm bracelet that featured a disc engraved with both of their monograms – on one side, a ‘C’ for Catherine and a coronet, and on the other, a ‘C’ for Camilla and a crown. Kate was first spotted wearing the new piece of jewellery in June 2011, two months after her royal wedding. She showcased it during a visit to Windsor when she and Prince William presented service medals to members of the Irish Guards. Kate again wore the charm bracelet two days later as she attended Wimbledon, and again in July 2011 at the polo. 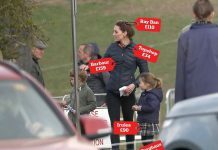 The bracelet is clearly a favourite with Kate, and shows the strong bond the Duchess shares with Prince Charles’ wife. 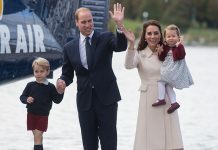 The two royal ladies famously went for lunch at Koffman’s in the Berkeley Hotel before Kate’s wedding, where they were joined by Pippa Middleton and Camilla’s daughter Laura Lopes. They also enjoyed a pre-wedding trip to the ballet. 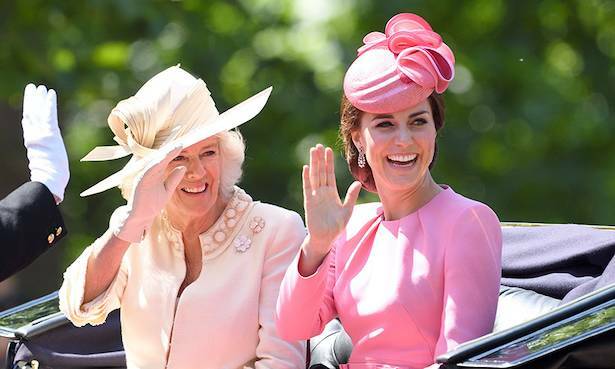 Fans are wondering whether Camilla has given a similar gift to her new stepdaughter-in-law Meghan, who officially joined the royal family in May. Meghan’s cypher was unveiled a few days after her wedding to Harry; it is a script uppercase ‘M’ underneath a coronet and is very similar to William, Kate and Harry’s individual cyphers. There’s no doubt that Meghan, 37, has been welcomed into the royal family with open arms. 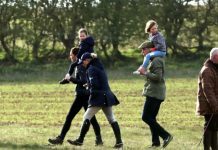 The former actress asked her father-in-law Prince Charles to walk her down the aisle at the nuptials, when her biological father Thomas Markle was unable to. Their bond was clear to see – not only at the wedding but also at subsequent engagements. At the garden party three days after the royal wedding, Meghan and Camilla also showcased their sweet bond as they were spotted holding hands whilst chatting.